Catering for Corporate Events, Private Parties, Birthday parties, even Picnics has become Longtom Foods new focused business. We work within our core menu of tasty, fast and easy food. And we always try to make a plan to prepare other items on demand. So our catering often includes other dishes for which we have become popular. 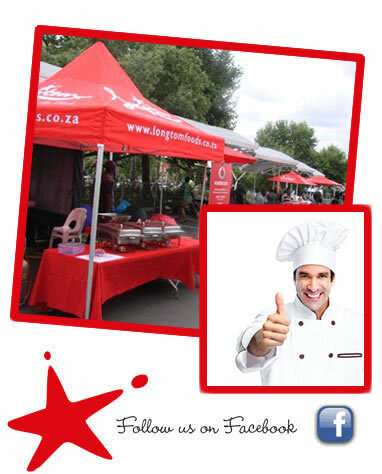 We bring along our Food Trailers and/or gazebos and cook and serve at the venue. All is fast, easy and no hassle for the client who can relax and enjoy the event. Scrumptious Schwarmas. Best sliced Beef served with Hummus, Tangy Tzatziki, chopped Cabbage. Tempting Wraps – Beef, Chicken, Health. Salads. Fresh and various –on demand.